The real life Pixie Dust of Peter Pan, it will make you fly and then soar. The best possible description of adding KEIF to you nugs is directly covering your nugs in that beautiful THC "FROST" that so many desire in the most PR/Top-Shelf strains. Highly refined into baby powder consistency through and matte texture , it adheres to every surface and crevice it can reach. Once added to any mid-shelf, we dare you to compare it a PR/Top-Shelf. Just imagine what it does to an already PR/Top-Shelf!?? The answer is mind blowing. We recommend our patients, on first trial, to pack KEIF bowls to half size, its that potent. 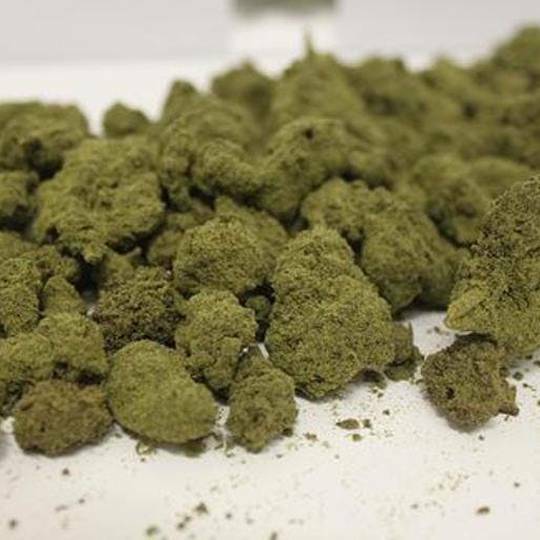 The main ingredient in HASH is refined keif, this is that refined KEIF, purchased one step before it was compressed into Hash.